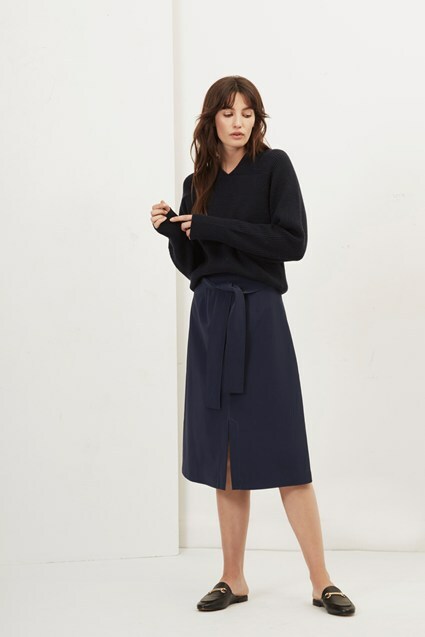 The Brooke Suiting A Line Skirt skims at the knees for a pitch-perfect length that allows you the flexibility to wear it with ankle boots or polished heels. It is offered in a soft, brushed material as a contemporary alternative to the traditional all-wool work skirts. Our model is 5ft 10" and is wearing a UK size 10.